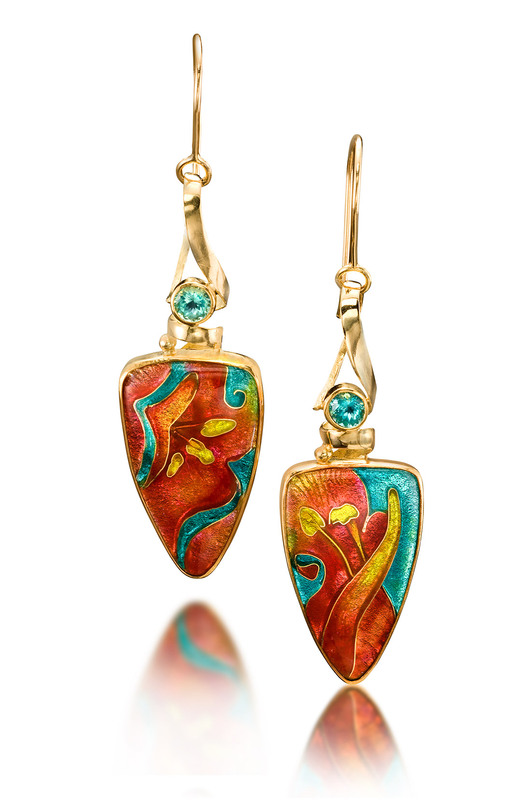 Carnivale 11 is a part of custom enamel earrings collection made by Patsy Croft – owner of Alohi Lani Designs and a teacher of Cloisonne arts. Patsy uses unique jewelry designs for each of the products in this shop – feel free to check out rest of the custom enamel earrings or Patsy`s collection of custom enamel pendants for sale. If you want custom enamel jewelry like Carnivale 11 made just for you and you have an idea on the design – head over to the contact page. Unique jewelry designs are a delight for Patsy. Aren`t convinced yet? 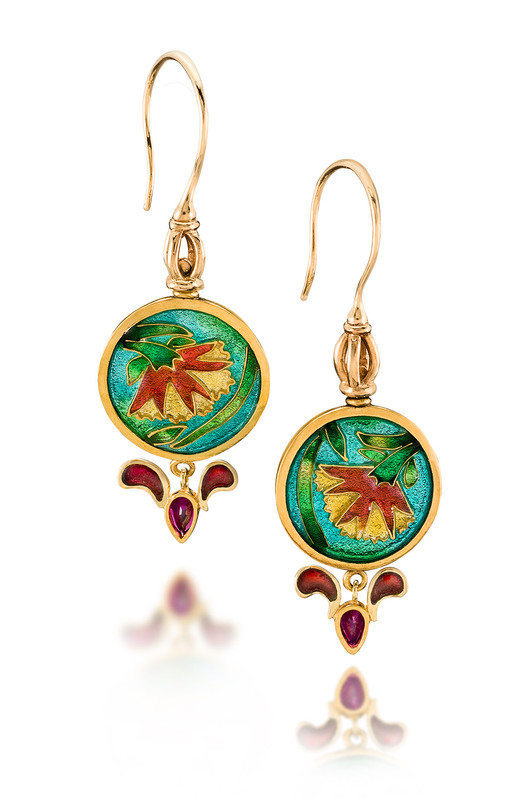 Check out the portfolio of cloisonne jewelry which has already brought joy to it`s owners. 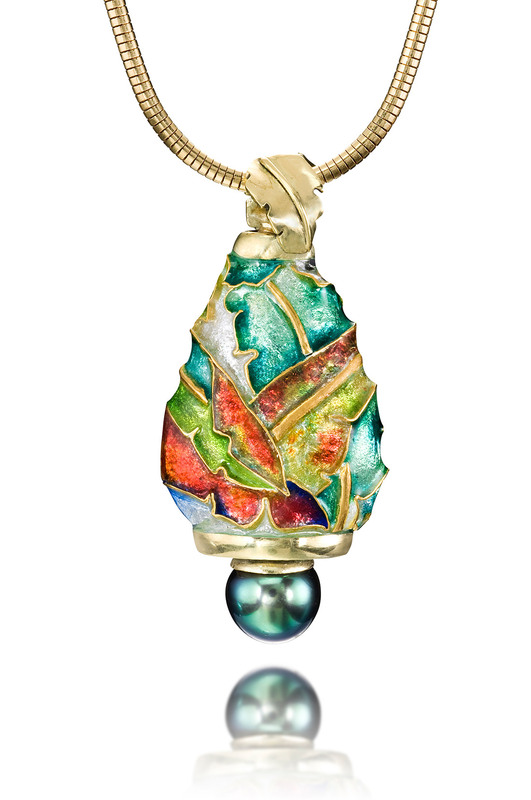 See why this is a best enamel jewelry shop online. As an enamel jewelry artist I love making jewels! And these are my favorite enameled earrings. You wonder why? Yes? Well let me tell you a little about the technique of enameling. The jewel has to be enameled on both sides of the metal you choose to work on. So why not make both sides beautiful and unique! Take a look at both sides of these earrings. 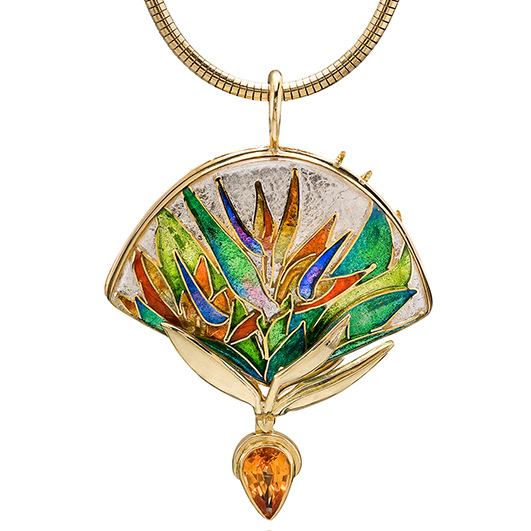 My design represents a flower opening on the front of the jewel with stamens of gold. On the opposite of the jewel the flower is open, showing off it’s beautiful personallity. 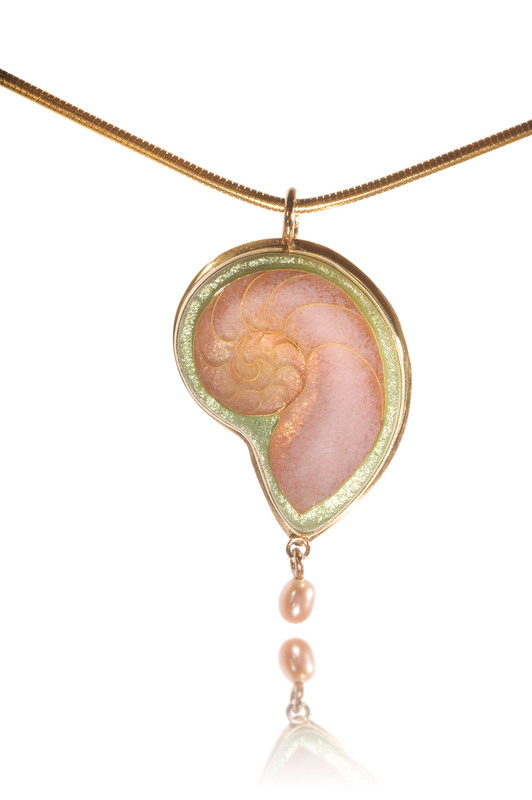 The cell of enamel in this jewel are over filled giving the flower dimension. Like the flower is blooming right out of the surface. 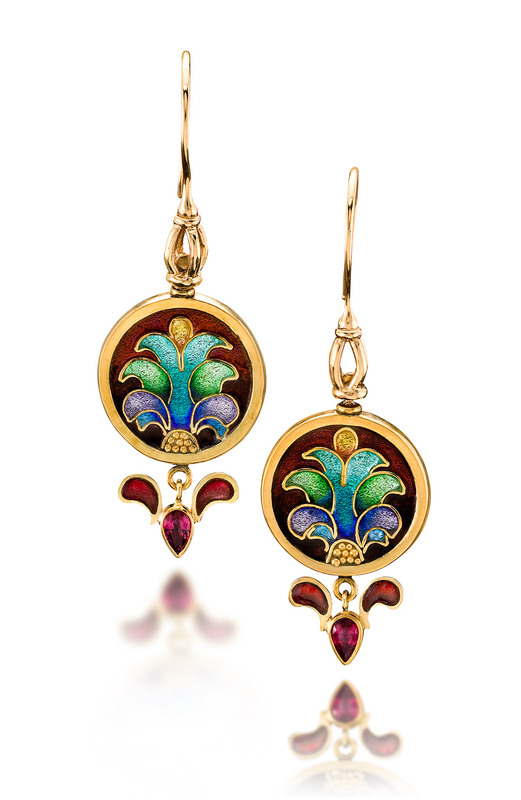 The accenting jewels are the drops, with the center a ruby and the side wings are Plique a Jour red enamel. The technique has been noted as early as the 6th century AD. Thought out history it has been use to supplement rare stones. Plique a jour is a beautiful enameling technique. These Carnivale earrings are truly one of a kind and prefect for a festive occasion.